Today’s senior living residents expect more, and to meet these demands many senior living communities are considering remodels and renovations to keep the design and function up-to-date. If it might be time for a remodel or reno in your community, this article to help you understand what to expect and look for in the initial process. The first step is identifying an interior design firm specializing in senior living. That team will speak with you to understand your current community needs and future design goals, and then do an on-site visit to evaluate the design and functionality. This visit allows the senior living design firm to provide a “First Impressions Report.” The report is the firm’s complete feedback on everything recommended to achieve your goals. You can expect to see suggestions regarding carpet, paint, furniture, artwork, repairs, landscaping, and more. At Warner Design Associates, we also identify opportunities to move, repurpose or repair anything. For example, we may suggest options to repair furniture, rather than replace it, or suggest that it may be more beneficial moved to another floor. This provides adjustments to improve your community in a budget-friendly way. We also take a holistic approach to also identify operational issues that will improve appeal, even if it’s outside of typical “design” efforts. For example, anything looking used, dirty, or otherwise that would stop a prospect from living there, such suggesting that housekeeping store the “Wet Floor” signs in a storage closet rather than behind the bathroom door. Though such things may seem small, they may stop a prospective resident from feeling “at home” at a community and choosing elsewhere. In sum, when receiving a First Impressions Report you can expect to receive a full scope of what needs to be done, including budget. In most cases, you’ll be able to receive this within a few weeks of the site visit. 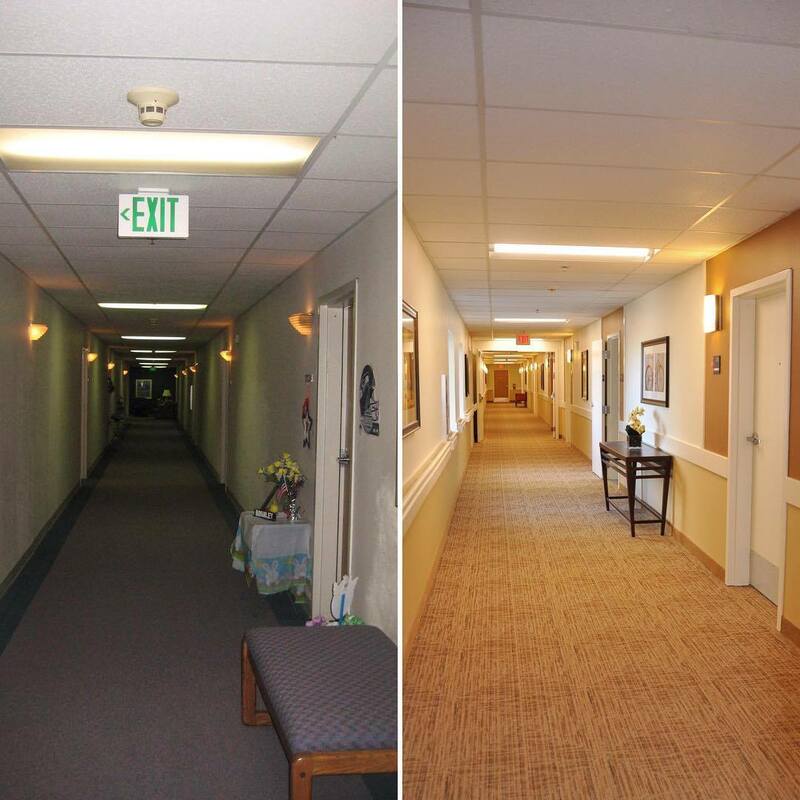 While there may be significant improvements to be made in some cases, many senior living community owners and operators are pleased to see that a lot can be accomplished with new paint, carpet, updated art, and furniture! We hope this helps you understand the first steps when considering a renovation or remodel. If you have any questions on if a reno or remodel is right for your senior living community, don’t hesitate to reach out! And stay tuned for an upcoming article on “Making Renovations Funds Work for You” to understand how you can best make use of your budget. Coming soon!